With JumpStart Academy Preschool, no two children are the same, so it is important that each players' gaming experience is catered to their individual needs. We allow each player to completely create their own unique identity with a plethora of colors, outfits, shirts, hats, housing and more. By being offered the opportunity to personally tailor their own avatar and dollhouse, your child will fall in love with learning. Each player gets to create their very own avatar that can be designed to look like them, or they can come up with a colorful and crazy avatar. Whether they want purple out-of-control hair, or if they want to look like their favorite athele, we have endless options for them to get creative. 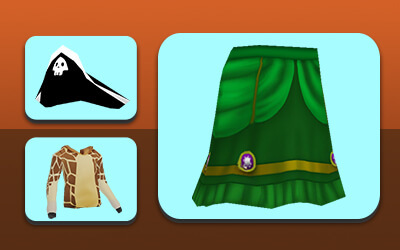 Users can choose between a wide range of clothes, hair styles, skin colors, and eye colors to make their avatar just as special as they are! 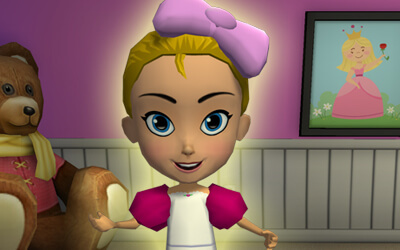 After their avatar has been created, they can decorate their very own dollhouse to make it feel like home sweet home. This is a place where their avatar can hang out, decorate to their heart's content, and create their own magical world. Kids can choose between different posters, toys, and furniture to make it feel super sporty or radically regal! Kids are driven by creativity and imagination, so why should education be boring? JumpStart Academy Preschool gives them the ability to create a world that they are excited to return to. The possibilities are endless with our wide array of customizable content! Your little learner will be unable to resist sifting through all of our fantastic fashion and scrolling through our delightful dollhouse décor. This ensures that each individual player can make their game feel like their own and learn in a way that is best for them.